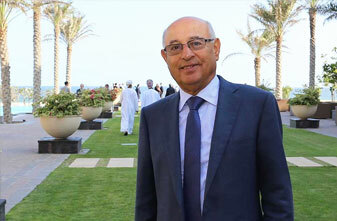 Mohammed Saleh, President of the Chamber of Commerce, Industry and Agriculture of Saida and Southern Lebanon (CCIAS), today commended the efforts of the Sultanate in the field of attracting foreign investments and to provide the appropriate environment for its growth, praising the efforts made by the Special Economic Zone Authority at Duqm (SEZAD) and Oman Chamber of Commerce and Industry (OCCI) in publicizing the investment opportunities available in the Sultanate. Speaking to Oman News Agency (ONA), he expressed his happiness for the interest in local investments and the attraction of foreign investments, as well as the signing of contracts between large companies and Small and Medium Enterprises (SMEs) that emphasize the readiness of Omani youth to establish a self-run projects, which is very encouraging for businessmen to invest in the Sultanate. Mohammed Saleh, along with a number of investors from eight countries, were briefed on the industrial and tourism projects, at the Special Economic Zone in Duqm, such as Duqm Port, Dry Dock, the Crowne Plaza Hotel and Park Inn Resort. He expressed his admiration for what he saw, noting the potential of the region and its ability to attract various investments.